Welcome to Junior Golf at Tuam Golf Club. 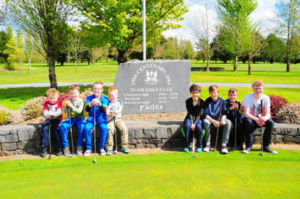 Junior Golf is a very important part of Tuam Golf club as the juniors of today are the senior members of tomorrow. Our aim is to provide Golf and Golf tuition to boys and girls between the ages of 8 and 18, in a safe, supervised and fun environment. Our Golf programme is open to everyone from complete beginner to the more advanced junior player with tailored coaching sessions to suit all. This year our Junior day has been moved from a Monday morning to Sunday afternoon. Also there has now been an introduction of an open qualifying competition for all juniors with a congu handicap every Sunday from 2:30 onwards giving juniors the chance to compete against themselves while still trying to improve there handicaps. This will be run from the 15/4/18 to the 26/8/18. below for full rules and format. A nine hole competition is also being run for our club juniors which will be starting from the 1/7/18 until the 26/8/18. Please see below for full rules and format. 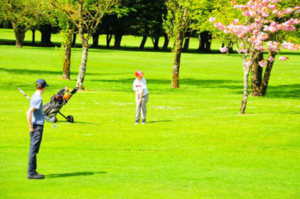 Should you require any information on Junior Golf in Tuam Golf Club, please do not hesitate to contact us on 093 28993. 2018 Juniors With Rights – Order of Merit Competition. 1) Competitions will now be held on a Sunday afternoon from 2:30 onwards. 2) It is an open competition so all welcome who is U18 and holds a Congu Handicap. 3) The weekly competitions will commence on the 15/4/18 and run until the 26/8/18. 6) At the end of every month points system will be doubled for that competition. 8) Stableford will be used for first 3 weeks of the given month and strokeplay for end of month competition. 2018 Juniors – Order of Merit Competition. 3) This weekly competition will commence on the 1 / 7/ 18 and run until the 26/8/18. 5) Entry fee will be 3 euro weekly. 8) At the end of every month points system will be doubled for that competition. 9) Three ball pairings only with stableford being used every week. 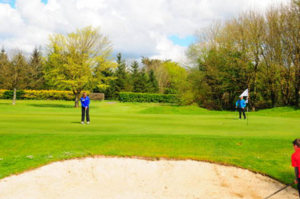 10) Weekly results can be found on the Junior section of Tuam Golf Club website.